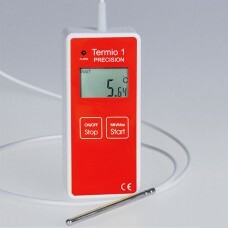 Termoprodukt temperature data recorders with external PT-1000 sensor. 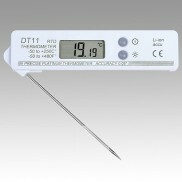 Data loggers with platinum temperature probe 0.01°C resolution to use in industry, food, pharmacy, labs and as reference devices. 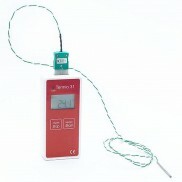 Termoprodukt temperature data recorders with external PT-1000 sensor. Data loggers with platinum temperature probe in standard size or with customized probe according customer specifications. 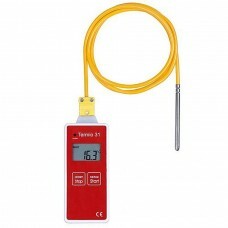 All of termoprodukt temperature data loggers are equipped with display and memory to safe up 32000 records. General purpose temperature data loggers to use in industry, food, pharmacy, labs and as reference devices with 0.01°C resolution.